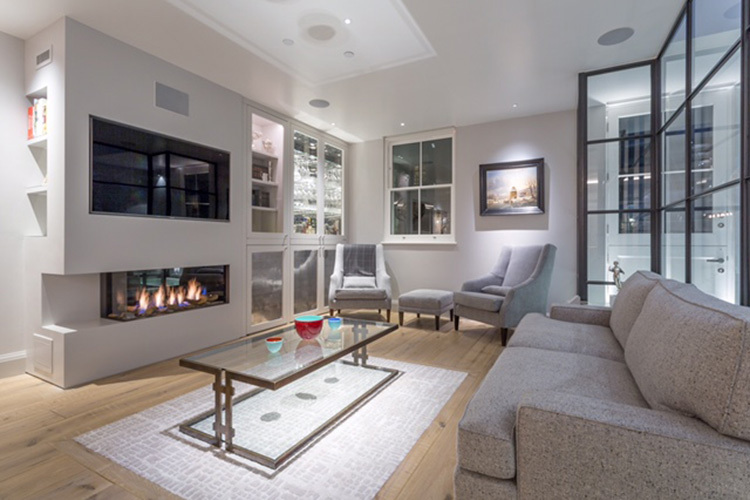 Think strong, defined lines and un-cluttered elegant design! 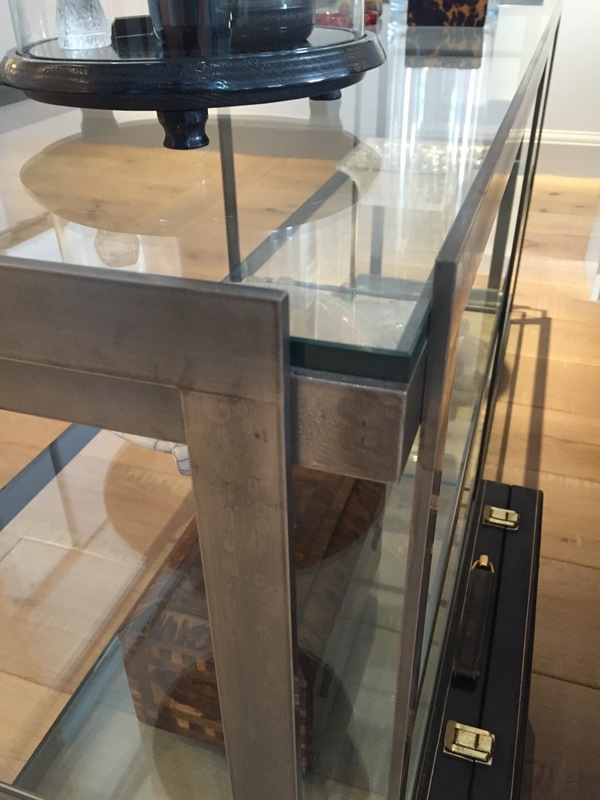 This was the brief which described the commission of two occasional tables for a private Mews property in London. 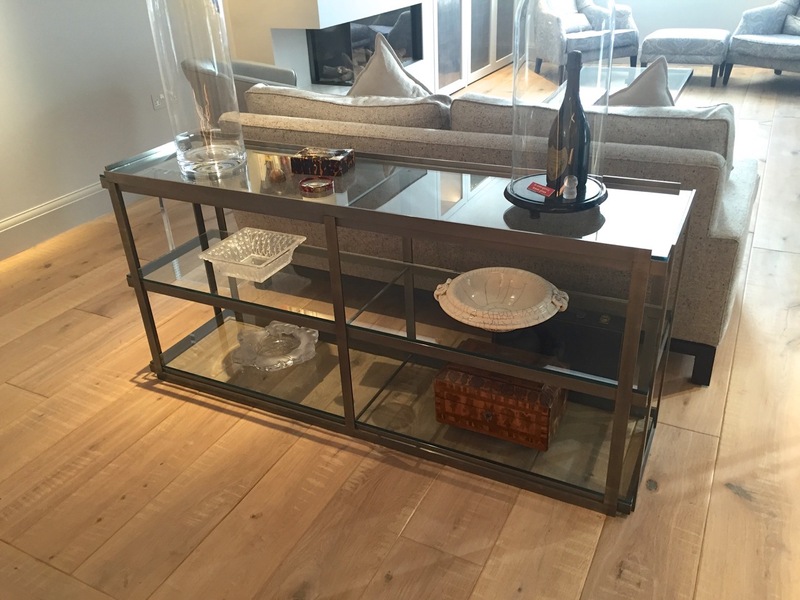 The client required a coffee table and matching console shelving unit for their open-plan sitting room / dining room / kitchen. 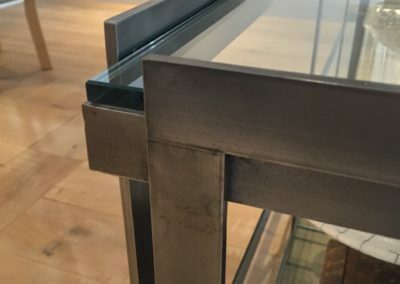 The client’s preference was for steel as they wished to retain the industrial grey tones this metal provides, which teams so beautifully with the clean, colourless low-iron glass for the shelving and table top. 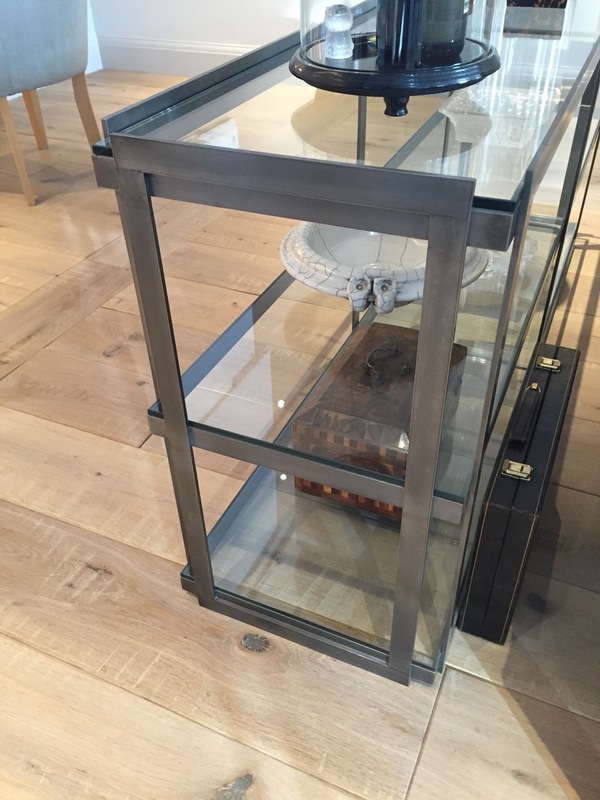 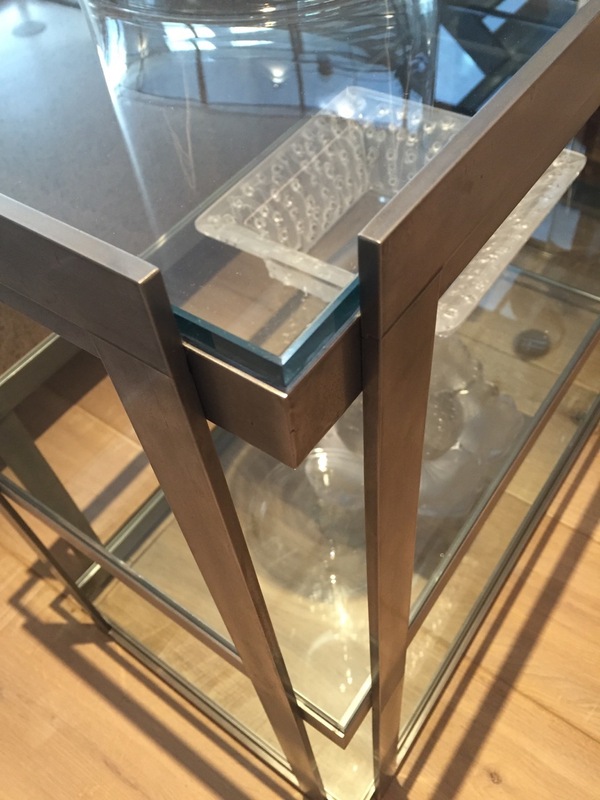 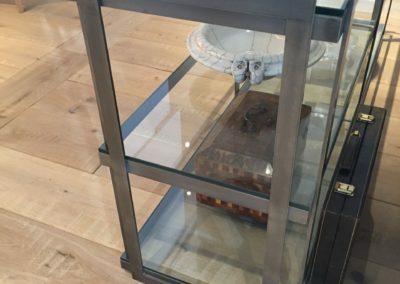 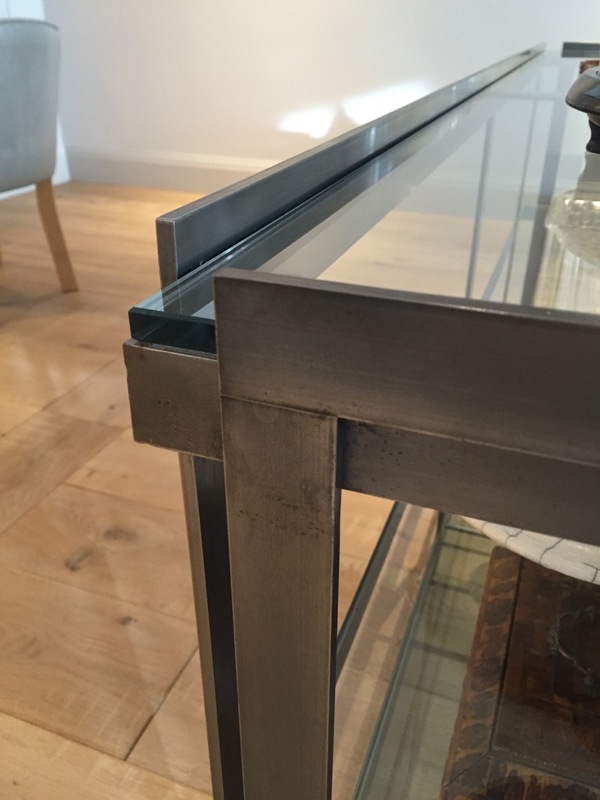 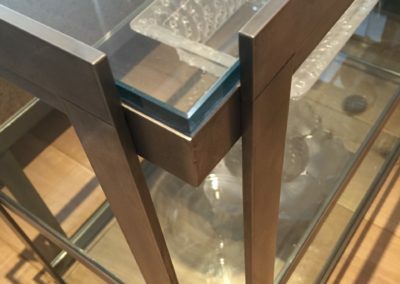 The completed steel and glass console table and coffee table were extremely well received and as you can see, look fabulous in their new home! 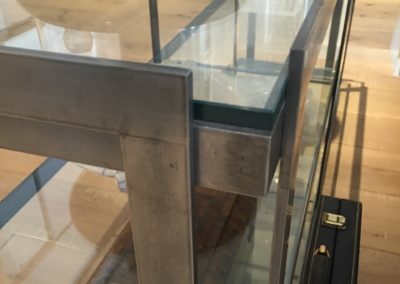 To discuss a similar bespoke project, please contact us.